STREETSMARTV2 is here! V2 is the evolution of STREETSMART and was rethought from the ground up with GRIDSMART hardware and firmware. V2 is a completely new offering built on GRIDSMART reliability. 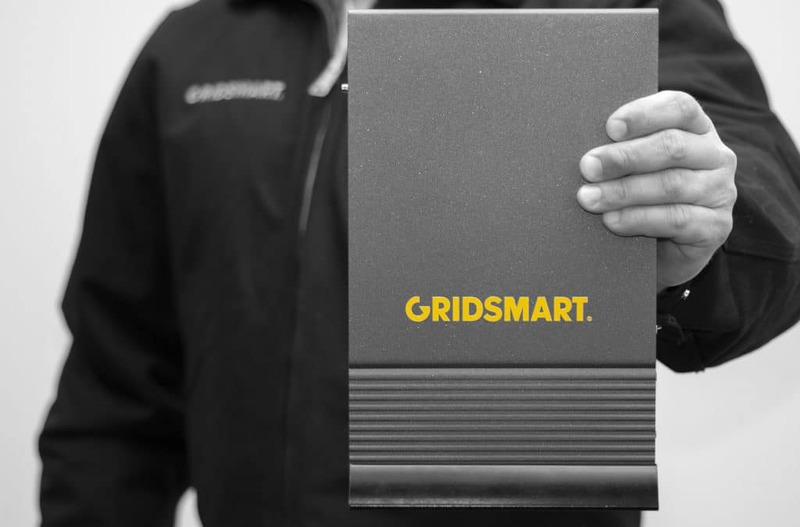 In this addition to our monthly Webinar Wednesday series, GRIDSMART introduces STREETSMARTV2 and answers questions regarding the new product evolution. To learn more about STREETSMARTV2, visit the STREETSMARTV2 product page. You can also locate your regional sales representative or area distributor, by visiting GRIDSMART’S sales page. For additional assistance, email marketing@gridsmart.com. Watch past Webinar Wednesdays and view more GRIDSMART videos by subscribing to our Youtube channel. Kristen: (00:01) We’re gonna go ahead and get started. We appreciate you joining us. We are excited to officially introduce STREETSMARTV2 to you today which is GRIDSMART’s original and only origin-destination and travel time technology. On today’s webinar, we have several people that are going to be presenting to you myself. My name is Kristin Bridgers. I’m the Director of Marketing and Communications. I’m just going to briefly go over some of the branding and what is behind it. STREETSMARTV2. We also have Matt King in the room with us. He’s our Director of Product. He’s going to go over the technical specifications and pricing of it with you all. And then we have Andrew Hall who is our Principal Software Engineer. Of course, Andrew is going to cover the software capabilities and the performance metrics that you can derive from V2. And then lastly but not leastly, we have Mr. Chuck Wilson. He is a Regional Sales Manager, and he’s here to answer any sales related questions that you all might have. On that note, we are going to have a Q and A session after the presentation here. You can ask questions one of two ways you can either raise your hand by signaling in the Zoom application or you can type your question. Either way, we’ll make sure that we get to it. All right. Kristen: (01:28) So how many of you have ever wondered what the impact of a road closure is in your city or town, or maybe what happens when a large event comes to town such as a UT football game? Maybe how travel time is impacted by holidays or school closures in your communities? We have too. Kristen : (01:47) That’s why we developed STREETSMARTV2, just so traffic managers like yourselves can better optimize the flow of traffic in your city. STREETSMARTV2 is an entirely new product built from the ground up with GRIDSMART hardware and firmware. The name reflects the identity that our customers recognize from GRIDSMART, and it also aligns us with GRIDSMART’s core product: The GS2 Core Processor. We are excited to show you the features of V2, so without further ado I’m going to turn it over to Mr. Matt King our Director of Product, and he’s going to tell you a little bit more about its capabilities. Matt: (02:27) Thanks, Kristen. As Kristen said STREETSMARTV2 was designed to solve problems. I’m going to kick things off by drilling down into the main capabilities of the V2 device. Those capabilities that provide insight and solutions to the traffic events Kristen mentioned. So why V2? A good place to start is with your GS2. Your GS2 gives you rich data and intelligence at the intersection, data that allows traffic professionals to make valuable decisions. V2 allows you to zoom out from the intersection and think about the overall health of a corridor of interest. For instance, growing up in east Tennessee we were always told, or I was always told that the local economy does best when the local football team is winning. We have learned through V2 reporting that volumes do increase as our overall record improves, and, surprisingly, it increases, even more, depending on our SEC record which is a little bit of a joke right now because we’re not winning too many ballgames. To open up even more jokes, we have learned that the highest volume day of the year along a busy stretch of road in our local town is from 6 to 7 p.m. on Valentine’s Day in front of the mall, and Andrew will actually speak to us a little bit in more detail a little bit later in some of the reporting. This intelligence can be gained from using the origin-destination in travel time reporting from your V2. Origin-destination allows you to focus on traffic patterns in an area of interest for a particular period of time. So for an example, there’s a concert downtown. The concert lets out. With your V2 you can find out are people staying around the concert venue? Are they heading across town? Or are they heading out to the suburbs for dinner or to go home? Simpler put, origin-destination is where are people coming from, and where are they going. Matt: (04:35) These are valuable insights V2 offers you. Travel time – allows you to monitor the overall health of a corridor. Let’s say there’s a wreck or a blockage on the interstate. 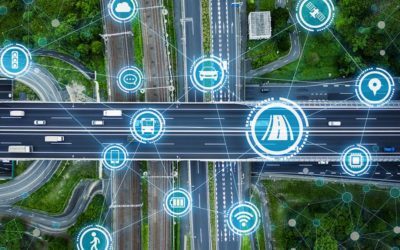 V2 offers the situational awareness for traffic professionals need to divert traffic from a blocked or dense interstate onto an alternative road or route. Simpler put: how long is it taking people to get from point A to Point B? Again, this is valuable insight. And lastly, signal performance metrics. On top of all that, with your V2 you can pull valuable cabinet data using the existing detection technologies of that intersection. These reports include volume by phase, turning movements, and red and green arrivals, and other SPMs. All this can be installed in less than an hour, and configuration is also simple and straightforward. Matt: (05:33) Next I’m going to go over quickly a few key technical specs in the design features of the V2. Kristen mentioned it that the V2 is a completely new product built on GRIDSMART reliability hardware and firmware. As you can see it looks a lot like the GS2 in terms of its rugged design, and its rugged design and its hardened exterior. I want to draw your attention to a few other technical specs that it’s developed for the TS1 and TS2 cabinet environment. The capture modality is Wi-Fi, and this is because Wi-Fi gives us higher sample rates which equals better reporting. And this is another thing that Andrew will talk on a little bit further in detail. It has passed all environmental testings. Matt: (06:23) And lastly, I do want to mention that you can see in this picture that this unit was vertically mounted in a cabinet, and it’s using the footer that ships with the V2. GRIDSMART has made a conscious effort to cut down on waste and to do our part for the environment. Matt: (06:46) So this footer now is actually optional. If you would like it to ship with the footer, you need to mark on your purchase order. You need to work with your sales representative to make sure that it’s included in the purchase order. If you plan on mounting, it horizontal on a shelf or some other way inside the cabinet you don’t need the footer, and we would rather not ship you know this wasted material. So that’s an effort on our end, and our sales team will work with you to make sure that that’s our understanding. And that footer is free of charge. So now, because it is a new product, I’d like to take a second to talk to you a little bit about what’s included in the box. Matt: (07:25) The first thing that’s included is you get your AC power cable; you’ve got your antenna. It’s the same MIMO antenna that comes with the GS2 that has multiple leads. It’s very simple if you already have a GS2 or other devices in the cabinet, you can use the leads that go to the V2 to plug in and make sure that you’ve got your connectivity. You’ve got your ethernet cable and the footer which I’ve mentioned here is optional that I mentioned in the slide before. Matt: (07:54) So at this time I’m going to turn it over to Andrew Hall who’s our Principal Software Engineer, and he’s going to talk about the technology and software behind V2. Andrew: (08:04) Thank you, Matt. Andrew: (08:05) Good afternoon everyone. Matt mentioned I’m going to spend some time talking about some of the analytics that are available with V2, some of the technology that drives those analytics, and what kind of valuable insights that you can gain from the reports that are available using the V2 devices. Some of the things that come with it are anonymous Wi-Fi address capture. Matt talked about sample rates. I’ll get further into that. Basically, we’re analyzing Wi-Fi traffic at the intersection, TS1 and TS2 Cabinet capabilities at release, plug and play in the cabinet, and GRIDSMART.Cloud reporting where you’ll find all of your Wi-Fi analytics, travel time, origin-destination, and SPM reports that are available with the V2. Andrew: (08:53) So why Wi-Fi? One of the biggest advantages of Wi-Fi is the range that it provides us when we’re detecting vehicles in the traffic network. It has a range that’s capable of detecting up to 300 meters. So what that means is that we’re able to start detecting vehicles earlier and continue detecting them longer while they’re in the intersection. Because of that, we see an order of magnitude higher detection rates than competing Bluetooth technologies. So for example, if a Bluetooth device detects one hundred samples, we’re going to see a thousand. Andrew: (09:27) So what does that mean? Why does sample rate matter? Andrew: (09:32) Sample rate gives us more data to analyze. What that means is that we’re going to have more detections between intersections which is going to provide us a higher confidence level. Statistically speaking, that basically means that our detection and analysis is going to be more accurate. What is more accuracy provided? That gives you greater insights into the traffic behavior within your network. Andrew: (09:52)So let’s dive into a little bit of you know, what’s…When I talk about sample rate, what actually are we seeing? This is a pretty typical intersection in Knoxville, our home office. Andrew: (10:03) What we’re seeing here is an intersection that sees high capacity, high utilization, and is basically detecting vehicles throughout the entire day. What we’re seeing is nine to ten thousand total records during peak hours. That’s about four and a half to five thousand distinct records. Across the whole day, that means we’re seeing 40 to 50 thousand total unique records at this intersection. Why is that important? With so many unique records we’re able to…it gives us more opportunity to match those same exact vehicles further along in the network. So when we see that many at one intersection the likelihood that we continue to see that intersection as it moves to a corridor increases. It gives you more valuable insights into the travel time, into the origin-destination, and into some of the other SPMs that we’re providing with V2. It allows you to understand how your traffic moves. On the left here what you’re seeing is one of our origin-destination reports. It’s available in this table format and also in these map formats. The table format is a full matrix breakdown listing each V2 as an origin and also as a destination and allows you to gain valuable insight into how people travel between each of these locations. Andrew: (11:15) Here you’re seeing a percentage breakdown, but on the left, you’ll notice that there are a total trip count, travel times, and then the map view that you’re now seeing also on the right-hand side of this slide. In the map view, what you’re able to do is select each device, and select it as an origin seeing the other devices within that group as the destination. And here what you’re seeing is that about 45 percent, you know, nine percent further downstream are detected each time that a vehicle travels through that intersection. That means that 45 percent go to one intersection, 6.8 go to another intersection, and you’re able to understand how that traffic flows through your network based on these percentages. Alluding back to Matt’s example about Valentine’s Day, this is a very popular stretch of roadway that has a lot of restaurants along it. So you might be able to analyze this data and see that hey on that day where volume is higher, we know that most vehicles are actually going back to get on Interstate as you see along one of these paths. Or they may be going home to the suburbs, back home to pick their kids up from the babysitter, whatever the case may be. So not only are you able to see the origin-destination data, you’re also getting valuable insights into how long it’s taking the vehicle to get from point A to Point B. Here we’re seeing an example graph that shows some of this exact data from just two weeks ago on Valentine’s Day. Matt talked about Valentine’s Day being the most popular travel time or the most voluminous travel day in our area. What’s interesting about this is you’ll actually notice that the traffic didn’t increase on Thursday which was actually Valentine’s Day. We saw the bump on Friday when nobody had to work the next day and were able to take their loved ones out for a nice dinner within this area. Just one of the cool insights that you get with this type of data and the analytics that we can run on on some of that Wi-Fi. Andrew: (13:08) So cabinet data: one of the first things that you get with the cabinet data is live insight into the state of your intersection as we pull that TS1 or TS2 state data from the controller. Here’s an example of that sped up of the cycle at one of our intersections and showing the live states of each phase and movement in the intersection. Obviously, when connected to the actual device, you’ll see this in real time. The average delay is about half a second from the actual event at the intersection to being displayed in this UI. That’s available anywhere that you have Internet access, so as long as you’re able to reach the STREETSMART and GRIDSMART.Cloud integration, you’re gonna be able to access this data live and make sure that everything’s operating as expected. Andrew: (13:56) The next thing that we’re going to look at is a volume report. So in intersections that you don’t have GS2s that collect data turning movement counts and volume data or other advanced analytics platforms, you’re able to install a V2 connected to your cabinet and get valuable insight into the data that your controllers connect collecting and that your detectors are supplying to the controller regardless of what the detector technology may be. Whether it’s loops or some other radar or, unfortunately, other camera systems too, you’re able to see volume data. What we’re looking at here is a volume report that’s based on five-minute bands showing the three different through movements at this intersection. Just like any other GRIDSMART report that you’ve seen, these are available in bands of five, 15, 30, and 60-minute reports. And now I’m going to turn it back over to Matt who’s going to talk a little bit about pricing and how to purchase your V2. Matt: (14:54) Thanks, Andrew. So we wanted to finish off this portion of the presentation by talking about the total cost of ownership. We understand that budgets are tight and that it’s difficult to foresee future costs, and at GRIDSMART, we empathize with this. And that’s why the total cost of ownership of a V2 unit is $5,500. This includes no extra fees, no maintenance fees, service fees. But let me talk a little bit about what it does include. That includes the built-in cellular modem, the GRIDSMART antenna that I mentioned earlier, you get a three-year manufacturer warranty, and the first five years of data and cellular service is included. After those five years, if you decide that you want to keep going, for an extra $1500, you can get an additional five years. But that is what all is all included with the $5,500 for your V2 unit. Kristen: (15:52) OK. Thanks, Matt. We did want to reiterate for those of you that may be new to GRIDSMART, and joining us on this webinar, that if you have any questions about who you should contact to purchase a V2 unit, or you have any questions about the purchase process for the V2 unit, you can do a couple of things. You can visit our website at GRIDSMART.com. 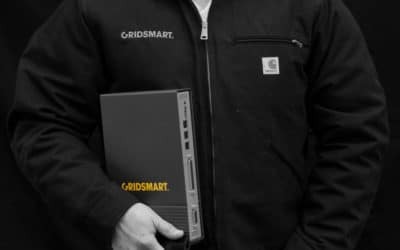 Go to the tab that says Sales, Buy GRIDSMART. You’ll be able to see the activation map there where you can scroll over and see who the salesperson is in your region or what distributors have STREETSMARTV2 in your region. You can also email marketing@GRIDSMART.com, and we’d be happy to point you in the direction of the salesperson to assist you with any questions. Alrighty, without any further ado we’re going to open it up. I’m sure some of you have some questions for us, so we’re going to go ahead and open the Q and A.
Kristen: (16:58) At this time we’ll be able to read aloud the questions that people have typed, and we’ll be able to see when people raised their hands. Kristen: (17:47) Oh, alrighty. So the first question we have is going to be from Shelby Cook. I’m trying to wade through them. Kristen: (18:00) Five years of data – What is the pricing of the software, and how often do you roll out improvements? Andrew: (18:12) Shelby, that’s a great question. So the software via GRIDSMART.Cloud, and the reporting tools, those are all included in the base price of the device. Updates are rolled out on a regular basis and are available to the device over the air. Obviously, those go through quality control and analysis and then we are pushing them out to the device as necessary. It’s an entirely hands-free process, and we make sure that those devices are up to date and secure out on the intersection. Kristen: (18:47) Alrighty. Great. Thanks, Andrew. We also have a question from Ward Stanford. What all performance measures can this product provide? Andrew: (19:08) This is Andrew again. Another great question. The handful of the reports that we’d like to highlight with the V2 are the volume by phase, turning movements, red and green arrivals. Obviously, we’ve got other SPMs. I don’t have an entire list in front of me. We will make that publication available so that it’s known which of the reports are accessible. There’s a handful of other ones, a dozen or so that I don’t want to list out in the webinar, but we’ll make sure that a document is available that lists those out for you. Kristen: (19:46) Also, to just make another comment. We have all of our sales people ready to demonstrate the product for you so you can see all the reports that can be run through that demo. And if you have any more questions about that, they’d be happy to answer you. And again if you need to know who, that would be, just give me a shout: marketing@gridsmart.com, and I’ll connect you with the right person. We have a couple of other questions. From Miss or Mister McManus – I don’t want to butcher your first name – so they say that we currently have GRIDSMART and STREETSMART. What is the difference? Kristen: (20:37) Great question. We are going to let Chuck answer that. Chuck: (20:46) Yes, excellent question. With GRIDSMART, you get a situational awareness of the intersection, you get a turn-by-turn movement of the intersection in the direction of other vehicles. With STREETSMARTV2, you actually get the full en suite of information and analytics coming from the whole corridor. The STREETSMARTV2, you also have the built-in cell modem. You don’t have to worry about connecting at or have any external modem to have access to the device. Andrew: (21:24) And this is Andrew. I also want to add to what Chuck said, and point out that in addition to the modem, you also do still continue to have the ability to connect it to your network and behind any security measures that you may have in your city, state, or locality. And one additional thing about that is you also get that additional cabinet connection. That’s going to give you some of the cabinet based metrics about detectors and activations at the intersection that the STREETSMART older device did not have. And the V2 capability adds that to it with its new hardware platform. Thanks, Andrew and Chuck. Alrighty. Moving on here. We have a question from Kyle Newman. Does V2 replace the GS2 Processor? The short answer to that is no, but we will elaborate. Or does V2 complement the GS2 Processor? And the short answer to that is yes, and we will elaborate on that. Kristen: (22:33) Similar to what Chuck had said in his last, but, Chuck, do you have anything else to add to that question? Chuck: (22:39) No. Again on the GRIDSMART GS2 Solution is an intersection detection system that allows you to have situational awareness and provide all the analytics that we collect 24hrs, all the time. The STREETSMART is again using the Wi-Fi technology to grab mac addresses and to use those to help you understand the congestion along your corridors. Also to give you insight to where cars were originating from and ultimately ending up from the origin-to-destination reporting. Kristen: (23:20) Thanks. Alrighty. (Inaudible) We have a question from him. Is the V2 compatible with 332 and or ATC cabinets? And can the V2 data be hosted on a municipal server, or it is only on the Cloud. I think that’s a great question for Andrew to answer. Andrew: (23:43) That is a great question. At release, we are not coming out with the ATC compatibility, but that is on our short road map and will be available on one of our early releases after the product is released – or earlier updates after the product is released. Again we’ll basically begin working on that almost immediately after support for releasing the product. As far as hosting the data, that is currently hosted entirely in Cloud. We are not offering a solution for hosting it in the municipality, but that’s obviously something that given enough feedback and requests that we’ll consider. But again, right now, it is Cloud based only. Kristen: (24:32) Thank you, Andrew. Alrighty. Let me see here. Bear with me. A couple of people have raised their hands, so I’m gonna try to call on them. Kristen: (24:57) Alrighty. We have Frank (inaudible). Frank, you had a question? We’re going to open it up for you to go ahead and ask your question. Kristen: (25:30) Frank, did you want to go ahead and ask your question? Are you still on with us? Alrighty. Kristen: (25:42) We are going to assume that Frank maybe cannot communicate on the application here. Kristen: (25:55) Frank, if you still wanted to ask your question, go ahead and type it out, and we’ll be happy to answer that for you. Alrighty, we have Zhu Tang Lu that would like to ask a question. Kristen: (26:22) You can go ahead, Zhu Tang, with your question whenever you’re ready. Kristen: (26:51) I’m sorry you were breaking up just a little bit. Kristen: (27:05) Alrighty. We’re gonna let Andrew take that one. Andrew: (27:10) No. That’s a great question. The detection that the V2 device does is Wi-Fi based. And then also through a direct connection to the controller. It itself is not a detection system for actuating an intersection. All it’s doing is collecting that data for analysis via our GRIDSMART.Cloud platform. So it’s not an active detection device. It’s just a collection device. Kristen: (27:37) And can you repeat that question, Andrew, for those of us that didn’t hear it? Andrew: (27:41) Yeah. Kristen makes a great point there. I should have repeated the question before answering it. The question was: is the detection the same as the GS2 product. And I’ll repeat the answer to that is that no, it is not the same detection that the STREETSMARTV2 is not used for intersection actuation as a detection device. It is used for collecting Wi-Fi data and collect metrics from the controller so that we can run analysis and provide reports through the GRIDSMART.Cloud Platform. Kristen: (28:17) Alrighty. We had Timothy Deeds. Hi, Timothy. So STREETSMART doesn’t necessarily have to interface with the GS2 Processor. The short answer is that is correct, and I will let Chuck elaborate on that one. Chuck: (28:36) Yeah, Tim. Great question, again. No, you do not have to have a GRIDSMART GS2 at the intersection. STREETSMARTV2 will actually integrate with any current detection that you have. You know, I know some of those intersections you have may have loops or whatever, really, you have already existing STREETSMARTV2 will allow you to grab those analytics and display them in the web-based reporting that we provide. Kristen: (29:12) Thanks, Chuck. Alrighty. So Frank that we couldn’t hear ask his question has typed his question, and he’s asking what is the area of coverage on the V2 device? Great question. We’re going to let Andrew you take that one, Frank. Andrew: (29:28) Frank, thanks for the question. Sort of a reiteration from one of my early slides. The Wi-Fi technology is capable of detecting devices outwards of three hundred meters. It’s gonna give you about a thousand-foot range in any direction. So it’s about two thousand total feet. If you think of it as a circle the diameter is gonna be two thousand feet across that it can detect Wi-Fi traffic and start seeing those vehicles moving through the intersection. Andrew: (29:59) And that’s the maximum, right, Andrew? Andrew: (30:01) Right. That’s the maximum. You know, so that the outer edges of where we’re going to start seeing signals from stronger Wi-Fi devices. Obviously, as they move closer to the install location signal is gonna get better, and we’re going to be able to detect them with greater accuracy. Kristen: (30:15) Perfect. Thank you very much. Kristen: (30:28) Well it looks like we’ve been able to answer most questions that people have had. If at any point in time you decide you had some other pressing questions that you weren’t able to ask here, or maybe you couldn’t figure out how to type or raise your hand on here, that’s perfectly fine. Please feel free to email marketing@gridsmart.com. We’re happy to answer any questions that you might have, or if us in the marketing department don’t know the answer, we will connect you with the person that does. We appreciate all of you taking some time out of your day to join us for the introduction of STREETSMARTV2, and we look forward to working together with you all to introduce some of these units into the field. Thank you.